It’s finally time for Smitty to settle down after all of his trips on the Oregon Trail. He has Lynn and a houseful of orphans, but he also had a wife who he’s always been faithful to. Brenda lied and said she was with child, Smitty’s child, over ten years ago. It’s time to dissolve their marriage. Upon arriving at Brenda’s house, he finds Brenda and her mother May dying of tuberculosis and just as ornery as ever. Lynn knows Smitty is married and respects the vows he took. Sonia Wist was just a young girl when the lecherous Peddler promised to marry her. He left town and took all of her life’s dreams with him; leaving her with child. Her enraged parents buy her a husband who is an abusive drunk and his father is even worse. Two years later, Sonia is a widow with a son. She has nowhere to go and she’s broke. She happens upon Juan Settler’s cabin and upon finding it empty, she hides there for a few days. 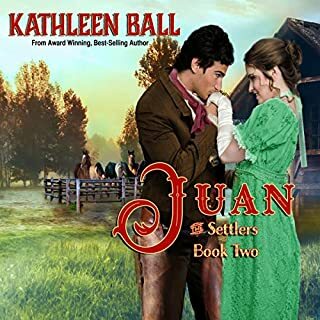 Juan Settler is a one of the best horse wranglers around. He has a gift for training wild horses. After being jilted at the altar, Scarlett Settler can't show her face in town. She becomes a mail-order bride to a blacksmith in Silver Falls, Oregon. She only skimmed the letters that she and her intended exchanged and was very disappointed to find he was a blacksmith always covered in soot. Dillon Stahl built a huge house and now he wants to fill it with a wife and children. 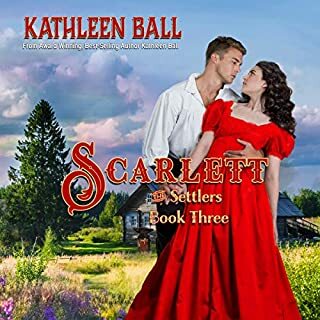 When his friend Smitty Settler writes to him about his daughter, Scarlett, he's intrigued and proposes. He expected a sweet biddable wife that he can build a life with. Instead he ends up with an opinionated woman who does not know the word compromise. Just when Sarah Engels thinks things can't get any worse when her abusive husband threatens to take her life on almost a daily basis - she finds out that she's pregnant with his child. A child he obviously doesn't want and will stop at nothing to rid himself of...including the unthinkable. Mike Collins has failed once to protect a wife, and it cost him the life he'd always dreamed of having. Without a wife or the children he's always wanted, he becomes a hermit deep in the woods and lives every day with only his dog for company. When he stumbles upon a nearly dead beauty, he knows that his time for redemption has finally come, but he has no idea just how much he's in for when it comes to rescuing her...and her unborn child. He must keep her safe at all costs, knowing that her insane, murderous husband could be lurking around any corner. This book is writtenAt a third-grade level. I couldn’t actually read the middle of the book because it was written so poorly. Do not waste your credit on this book! I am returning this book, and another book by the same author for the same reasons. I would describe this book like icing on a cupcake. No value, completely worthless, sugary sweets with no substance.